The DEF, a non-profit 501 (c)(3) corporation, was founded to inspire dermatology nurse practitioners (NPs) and physician assistants (PAs) to achieve a professional balance between the art of healing, the power of diagnostic skills, and case-based assessment and training. 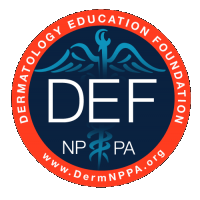 In addition to web-based content with a practical focus on www.DermNPPA.org, the DEF has created national and regional educational CME conferences designed to enhance diagnostic skills for NPs and PAs in the practice treating skin conditions and diseases. Register on our website today to receive email alerts about our new content and meeting updates. The DEF offers complimentary live CME and video resource to registered users. Joe Gorelick has more than 18 years experience as a nurse practitioner and is involved in all aspects of medical, surgical, and cosmetic dermatology. He earned a Bachelor of Science Degree in Physiology at the University of California at Davis and received a Master of Science degree from Vanderbilt University in Nashville, Tennessee. Joe is nationally Board-certified by the American Nurses Credentialing Center. He is in full-time practice at California Skin Institute and serves as an adjunct faculty member of the Nurse Practitioner Program at Holy Names College in Oakland, California where he lectures on dermatological conditions and surgical techniques. Joe has a particular interest in peer-to-peer education. 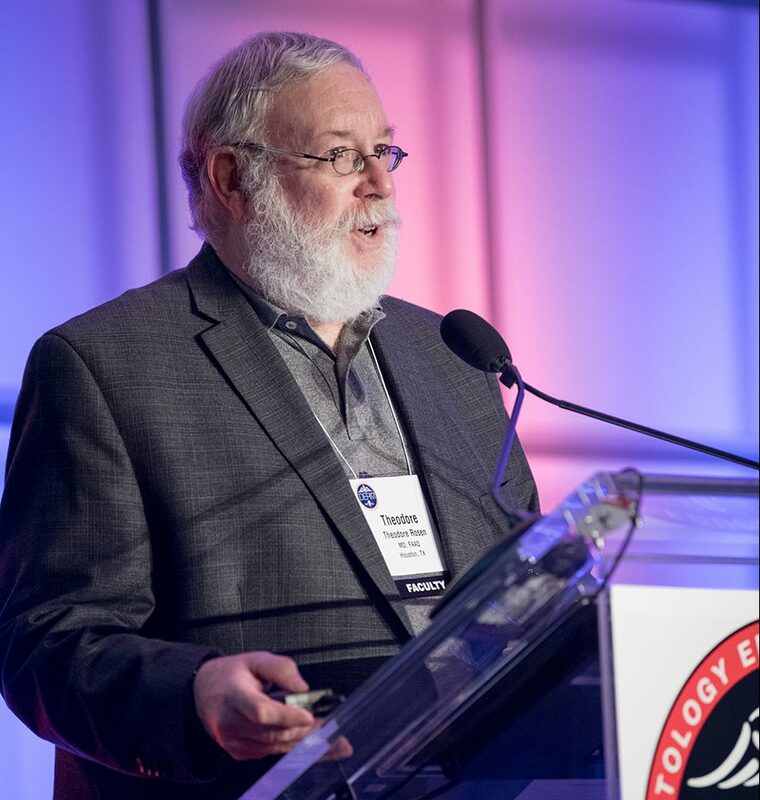 Joe founded the Dermatology Education Foundation (DEF) in 2013 to update the educational resources and change the training paradigm in dermatology for nurse practitioners (NPs) and physician assistants (PAs). Through the DEF, live and web-based education continues to be a personal honor he spearheads. Additionally, he serves as an advisory board member, faculty member, guest lecturer, trainer and consultant to numerous pharmaceutical companies. This exchange of information leads to advances in the practice and art of dermatology among NPs and PAs. Wendy Cantrell earned her Bachelor of Science and Master of Science degrees in Nursing from the University of Alabama at Birmingham from in 1996 - 2000, and in 2001 she earned the title Doctor of Nursing Practice. Currently, she is an assistant professor at UAB School of Medicine, Department of Dermatology at UAB in Birmingham, Alabama, and she is the manager of the clinical research division for the department. A prolific scholar, Dr. Cantrell has published many peer-reviewed articles on a number of dermatological issues during her 15 year practice. She is enthusiastic and dedicated to pursuing new research, new drugs, and alternative therapies in order to enhance the quality of life of patients. After graduating from Barry University in 1999, Scott Freeman began his career in the Emergency Department. Although rewarding, after seven years there he found himself gravitating toward visual pathology and a desire to follow patients to completion of their problem. Coupled with his interest in minor procedure, dermatology seemed a perfect fit. Soon, he found himself employed at a wonderful dermatology clinic with an abundance of potential and support. After a couple of years getting comfortable with the medical aspect of a dermatology practice, he found himself looking outward and searching for other ways to collaborate with his colleagues. His first move was to join a Florida state dermatology PA society which he embraced and took on the role of secretary for a while. He began to speak for a few companies and became involved with clinical trials. Then, he had an idea about elevating the level of care provided by his local colleagues and himself; learning never ends. So, that was the beginning of the Dermatology Club of Tampa Bay. Now in its fourth year, the monthly meetings are academically stimulating and professionally connecting the PAs and NPs of the Tampa/St. Petersburg area. Also, for the past 4 years, he has had the gracious opportunity to educate PA and medical students, mentor and lecture at schools and conferences enabling him to fulfill his educational and teaching desires. Scott Freeman has found a very professionally and personally rewarding career in dermatology. Kara Gooding graduated from Midwestern University with a Masters of Medical Science and has been practicing dermatology for 15 years. She is the co-founder and current President of the Arizona Dermatology Physician Assistants Society. Steve is a certified physician assistant working with Surgical Dermatology and Laser Center (soon to be Vivida Dermatology) at Las Vegas, Nevada. He focuses on general, surgical and cosmetic dermatology. Steve attended Midwestern University in Downer’s Grove, Illinois where he graduated with a Master of Science degree in Physician Assistant Studies. He was assistant Clinical Professor and preceptor for Midwestern University. He has been involved in many dermatological studies and research projects including rosacea, psoriasis, and acne. He also served as associate editor for Acne In-Review Guide and has been a national and local speaker on dermatology diseases and treatments. Jayme Heim is a Board-certified Nurse Practitioner who specializes in treating patients with psoriasis, psoriatic arthritis, and eczema. She travels across the United States educating her peers on the treatment of these diseases as well as advocating for psoriasis and eczema patients through consulting and advising with several pharmaceutical companies. Jayme is also an Associate Adjunct Professor for Michigan State University and Grand Valley State University. She enjoys mentoring and educating NP and PA students as well as serving as a preceptor for several universities. She is a member of the National Psoriasis Foundation. Eczema Association, Dermatology Nurses Association, Michigan Counsel of Nurse Practitioners and the American Academy of Nurse Practitioners. Dr. Kristine Kucera is a certified physician assistant at North Texas Dermatology and Assistant Clinical Professor at UT Southwestern Medical Center. She is clinically involved with the evaluation, diagnosis, and treatment of general dermatologic patients with a special interest in psoriasis. Dr. Kucera attended the University of Texas Medical Branch in Galveston where she graduated with a Bachelor of Science degree in Physician Assistant Studies and completed her Master of Science degree through the University of Nebraska Physician Assistant Program where she specialized in Dermatology. Her Doctorate of Health Science degree was awarded in mid-2006 at Nova Southeastern University in Ft. Lauderdale, Florida. She lectures nationally on several dermatologic conditions, has had publications in peer-reviewed journals, and is currently serving on the editorial board of the Journal of the Society of Dermatology Physician Assistants She is a member of the American Academy of Physician Assistants, Texas Academy of Physician Assistants, and has served two terms as President of the Society of Dermatology Physician Assistants. Leigh Ann is a certified family and dermatology nurse practitioner. She specializes in the treatment of acne, auto-immune diseases, genodermatoses, hair loss disorders, and atopic dermatitis. Spanning an extensive career of more than 20 years, Leigh Ann has independently conducted adult and pediatric multi-disciplinary clinics for atopic dermatitis and polycystic ovarian syndrome, provided detailed patient education media, and conducted local sun safety education for thousands of students across Ohio. She has published articles on eczema, contact dermatitis, and therapeutic relationships in healthcare. She loves the field of dermatology and has a passion for partnering with patients and families to ensure the best outcomes. Darren is a graduate of Brigham Young University-Hawaii and trained as a Physician Assistant at Chatham University in Pittsburgh, PA where he received his Masters of Physician Assistant Studies in 1998. Darren has been practicing in the field of dermatology for over 16 years. Darren is experienced in general dermatology, dermatology surgery, all aspects of cosmetics including lasers, injectables such as Botox, derm fillers, and skin care. Darren currently lives in Scottsdale and has been married to his wife Claudia for over 10 years. They have two children, Maxwell and Sophia.